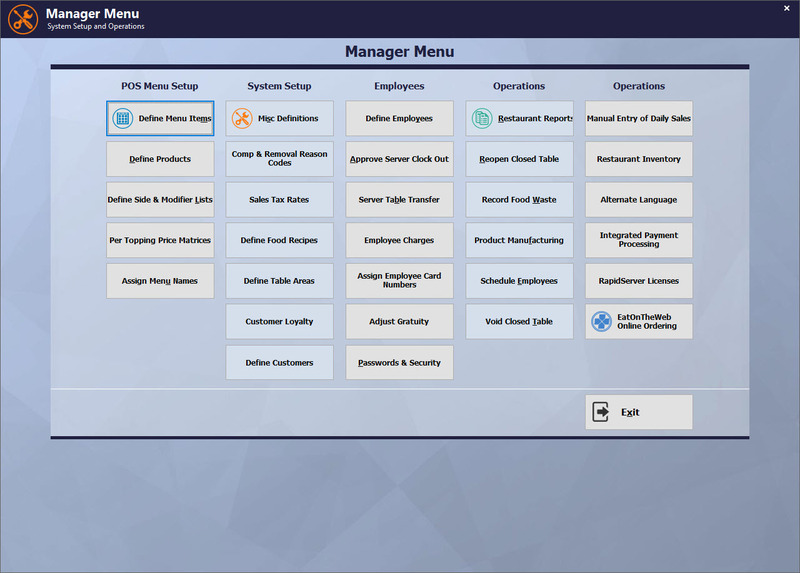 Ready to Take Control of Your Restaurant? As a restaurant owner or operator, you know that you can be more successful if you can provide a better experience for your customers and gain greater control over your costs and profits. Business Plus Accounting Restaurant Delivery Software will help you do both. 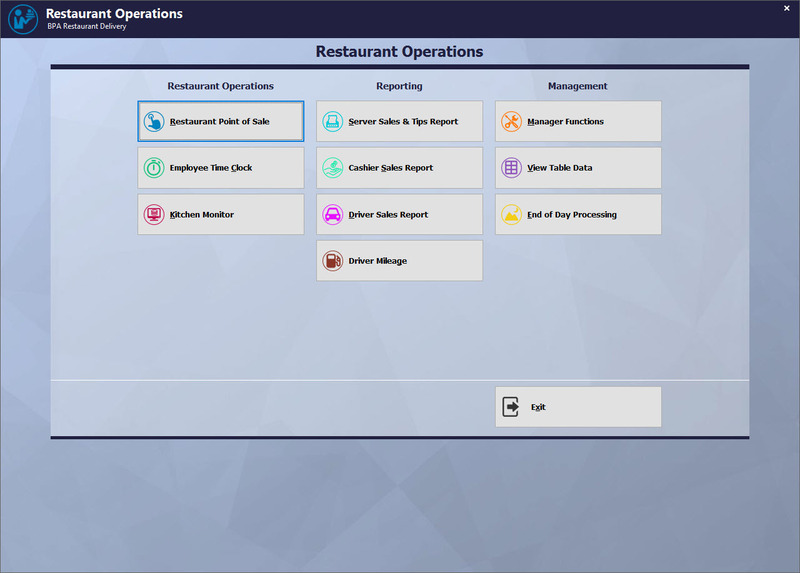 Built on top of an award winning, mature accounting system and designed by working closely with the owners and operators of many different restaurants, BPA Restaurant Delivery software systems give you the tools you need to run a better business. Increase the speed of customer service? Improve the quality of your food? Orders entered by the server at the server station, such as our All-­In-­One Restaurant Systems with MSI Computers or quality Used Restaurant POS Systems, will automatically print at the cook's station, increasing the speed with which orders can be prepared and decreasing the wasted time of servers walking back and forth to the kitchen! 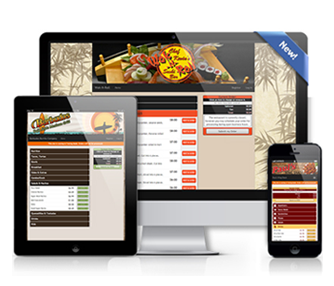 Also functions as affordable online ordering restaurant software. Orders are entered on the computer, and printed cook's tickets are much more legible than a hand written ticket. Not only are the items prepared more accurately, your servers will always be charging the right amount for every order! Our system is the perfect Pizza POS system. Accurate inventory control lets you plan your purchasing to always have the freshest ingredients. Product shelf life tracking lets you get rid of old food before you accidentally serve it to someone. Printed cook's tickets and the kitchen monitor allow your chefs to plan food preparation so that items are delivered to your customers fresh at the right time! Customers will like you better when you start using BPA Restaurant Delivery! Know exactly how much each dish costs each time you sell it? Accurately order the product you will need? Find out which of your employees are trying to cheat you? Define recipes for each of your items. Use true first-in, first-out inventory, ordering and receiving, and you can see exactly what your food cost is in each dish you serve. 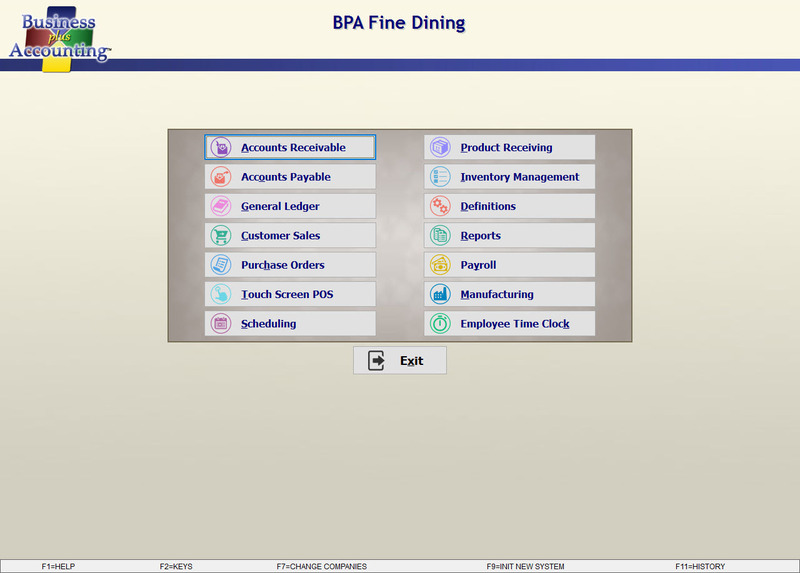 Because BPA Restaurant Delivery includes a complete inventory module, you can see your true cost and profit for every item on every order! Knowing what your true ingredient requirements are and tracking sales volume trends for your products, you can order what you need, and only what you need. Integrated waste tracking lets you track waste usage for every shift of every day. Password controls and printed cook's and customer receipts prevent employees from selling your food and pocketing the money. One restaurant owner reported firing every employee in his staff after BPA Restaurant Delivery showed him what his staff was doing to him! BPA Restaurant Delivery helps you stop up the holes where money is leaking out of your business! 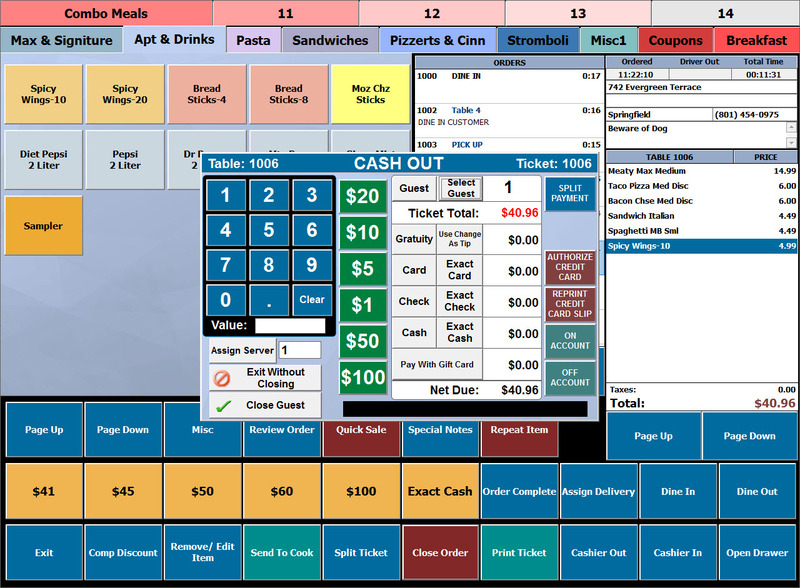 Other restaurant software packages cost thousands of dollars. To purchase Business Plus Accounting Restaurant Delivery you pay only a materials cost of $70. You also pay a support, licensing and upgrade fee of $40/month. For the $40 you receive unlimited phone support during our regular business hours, free upgrades for our software, and BPA Cloud Backup. Not only do we cost far less than our competitors but you receive a much more complete product. 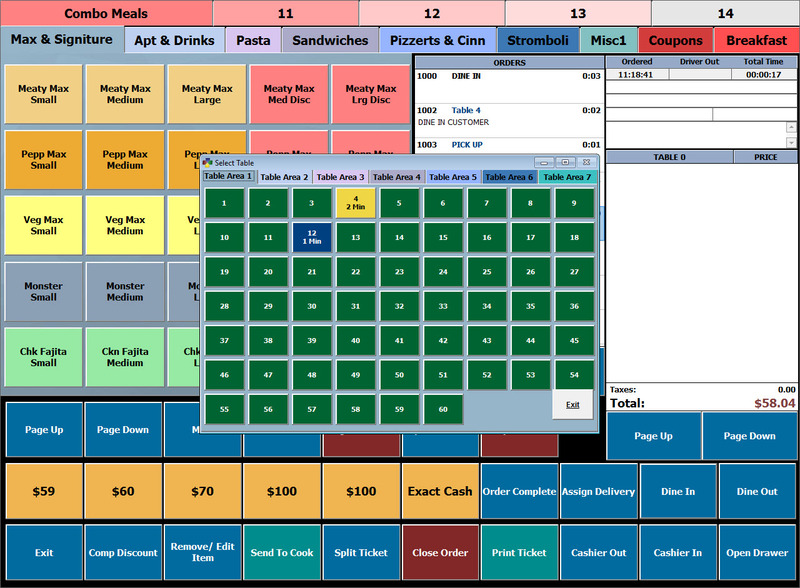 Our restaurant software is fully integrated into our business accounting software. You receive a complete business system including payroll and time clock with over 260 business reports covering all areas of your business. We know that running restaurants is your business. Making software is ours. We don't believe you should have to be computer expert to use our software anymore than we should have to be a master chef to enjoy a good meal! Our software is incredibly straight forward and easy to use. This system also includes the BPA Video CD Training Series For Servers And Managers. You can have each new server watch a series of short videos on your computer to learn how to use the software. Our accounting package, Business Plus Accounting, was rated by Computer Credible Magazine as being: "By Far The Easiest To Install and Use Of Any Package We Have Ever Reviewed!" We have applied the same principles of ease of use to BPA Restaurant Delivery. 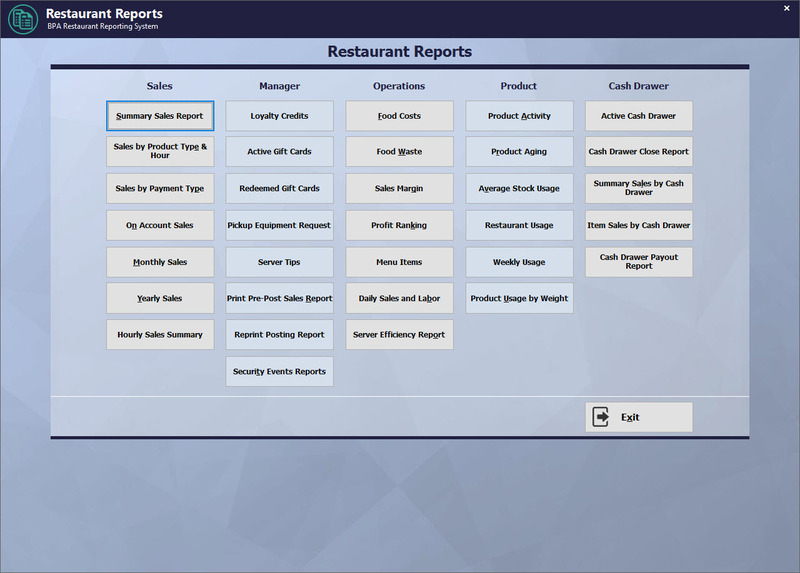 BPA Restaurant Delivery is a robust restaurant POS software system integrated with a complete business accounting software package "Business Plus Accounting". As a restaurant owner or operator, you know that you can be more successful if you can provide a better experience for your customers and gain greater control over your costs and profits. Business Plus Accounting Restaurant Delivery will help you do both. 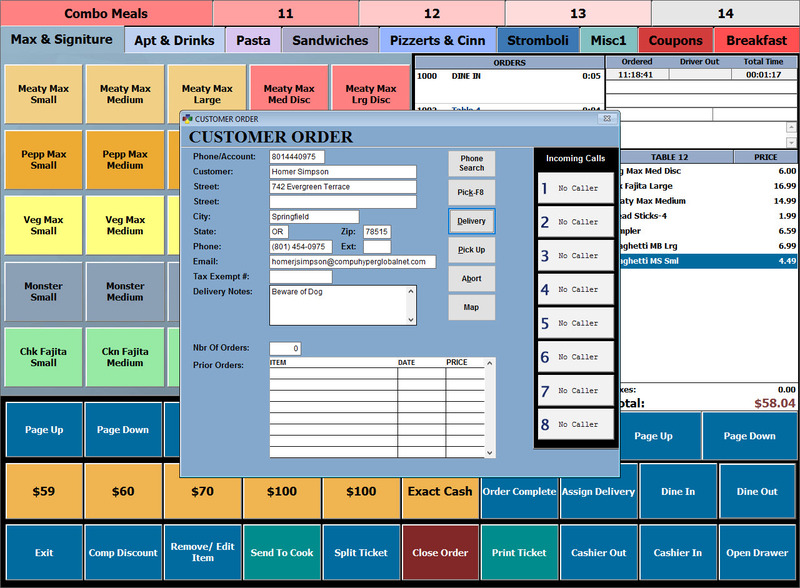 Our Restaurant Software System will give you the business software solution you need. Built on top of an award winning, mature accounting system and designed by working closely with the owners and operators of many different restaurants, BPA Restaurant Delivery gives you the tools you need to run a better business. 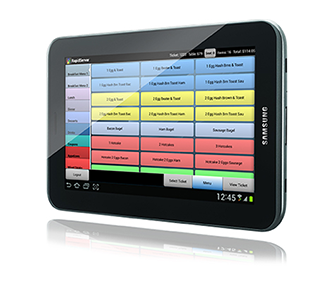 Supports Touch Screen Entry of Restaurant Orders. 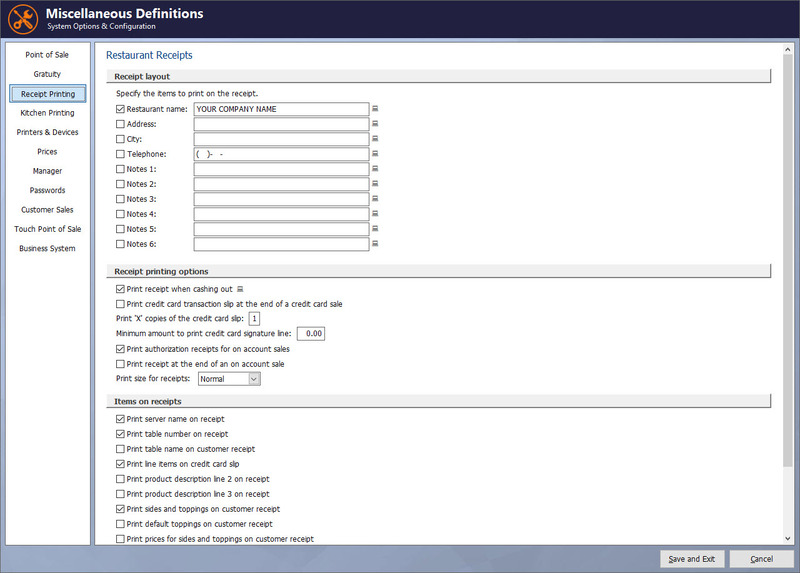 Supports Mouse/Keyboard Entry of Restaurant Orders. Supports Removing of items from Orders (Password Required). 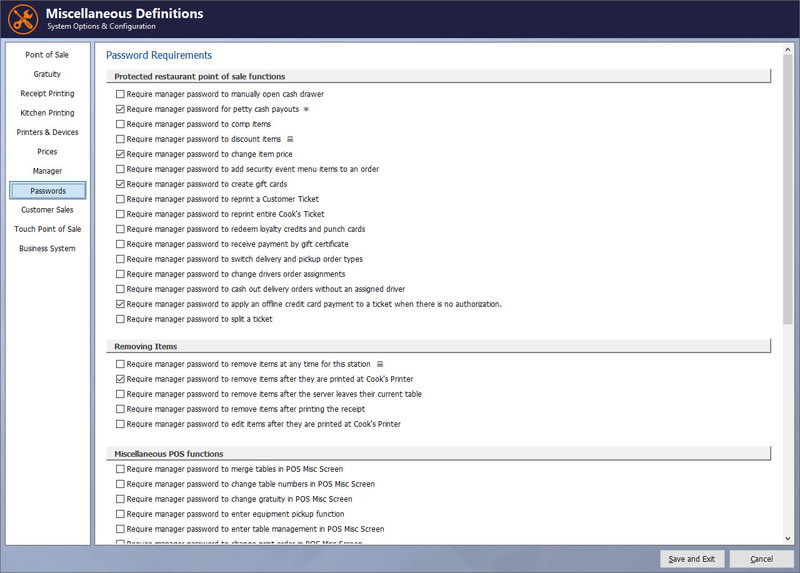 Supports Removing of Orders (Password Required). Supports Sale of Miscellaneous Items. Supports Quick Sales for Quick Bar Entries. Supports Caller ID with up to 8 phone lines. Supports Daily Pricing - Monday, Tuesday, Wednesday, Thursday, Friday, Saturday and Sunday. Supports Promotional Pricing with Promotional Time Periods. Supports On Account Restaurant Sales. Supports Bar Code Printing and Scanning. Allow Entry Of a Person's Name to Identify a Table. Show Guest Count Screen During POS Orders. Assign Menu Items To a Table Seat Number. Print Cook's Ticket To Receipt Printer For Items Not Assigned To a Cook's Printer. Enable Dine In / Dine Out Options On Quick Sales. Automatically Print The Cook's Ticket When An Order Is Cashed Out. Retrieve Last Used Credit Card Number From History File At POS Cash Out. Automatically Add a Delivery Charge To Deliveries. Require a Manager Password When Manually Opening The Cash Drawer. Number of Copies on Credit Card Slips to Print. Allow Item Removal Until Item has Been Printed at Cook's Printer. Review a Table Order While at the POS Screen. Allows the Kitchen Ticket to be Split Between 2 Printers so you can have Two Different Cooking Locations for a Single Order (ie. Pizza area, Sandwich Area). This Saves you the Expense of Multiple Monitors and Computers. Kitchen Tickets Include Cooking Instructions for Items Requiring Cooking Instructions. 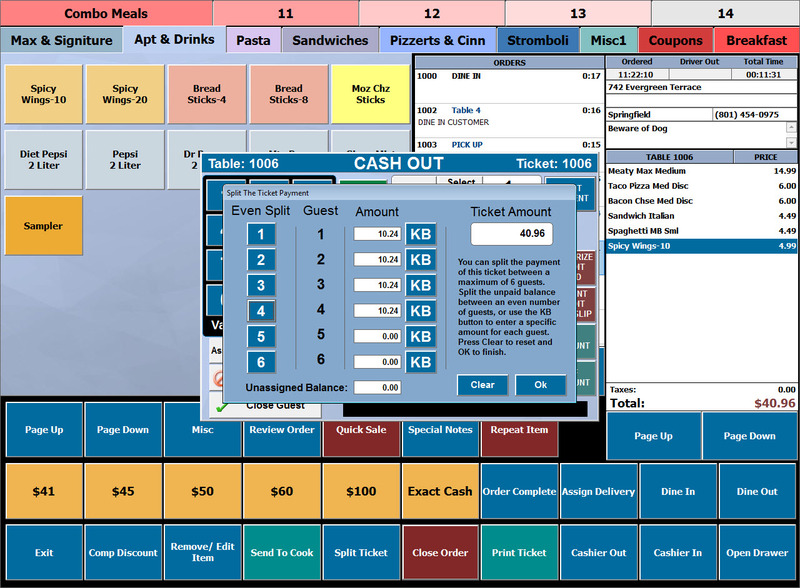 Supports use of a Cook's Monitor at Each Cooking Station with a Bump Button and Cook's Ticket Printing Capabilities. 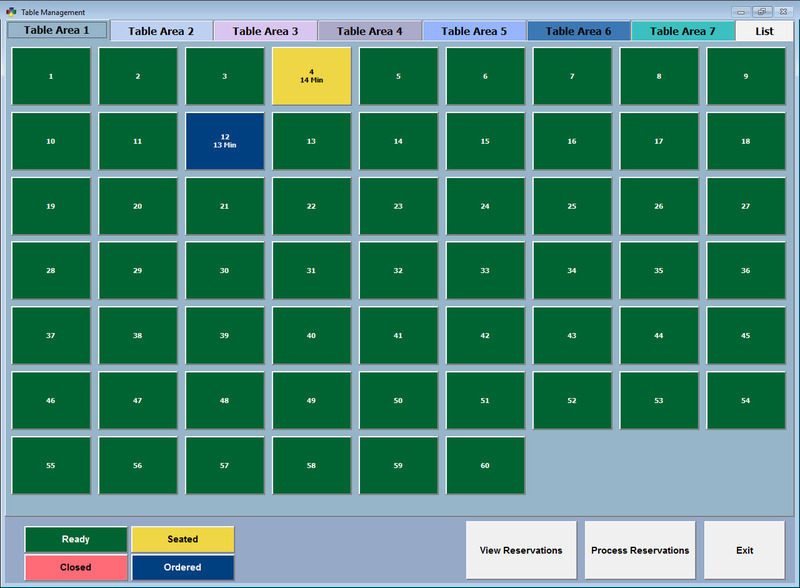 Prints Reports Showing Daily Sales, Monthly Sales, Yearly Sales, Sales Per Guest, Tables Per Server, Guests Per Table etc. Tracks Food Waste and Prints Food Waste Report. Prints Daily Sales and Labor Reports. Prints Table Sales Pre-Posting Report. Prints Table Sales Posting Report. Prints Remove Open Items Report. Prints Remove Closed Table Report. Prints Profit Ranking Report For Sales Item. Prints Profit Ranking Report For Sales Items. Prints Over 200 Additional Reports! Allows you to Customize the Customer Receipt. Supports Comp-ing of Items (Password Required). Allows Cashiers to Accept Cash, Credit Cards, or Checks for Payment. Supports Manager Adjustment of Cashier Cash Out. 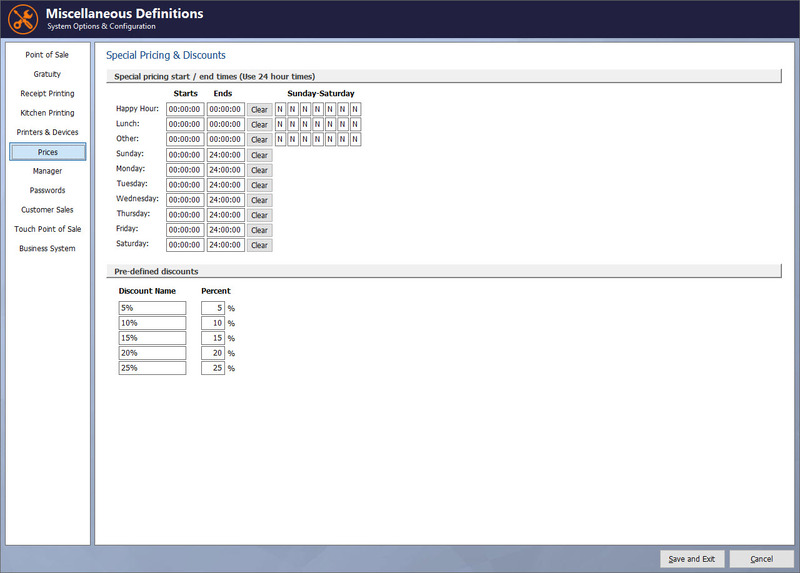 Supports Auto Gratuity Calculations Based on the Number of Guests at a Table and the Percent you Define. Quick Cash Out Buttons on the POS Screen. 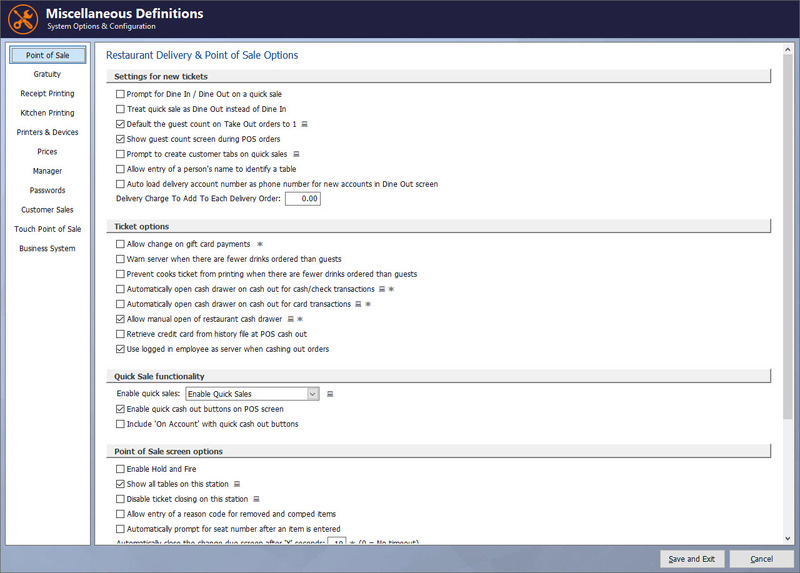 Supports Assigning of Drivers to Deliveries. Prints Delivery Tickets with Addresses. Prints Box Labels with 1 of 2, 2 of 2, etc. Supports dine In, Pickup, or Delivery. 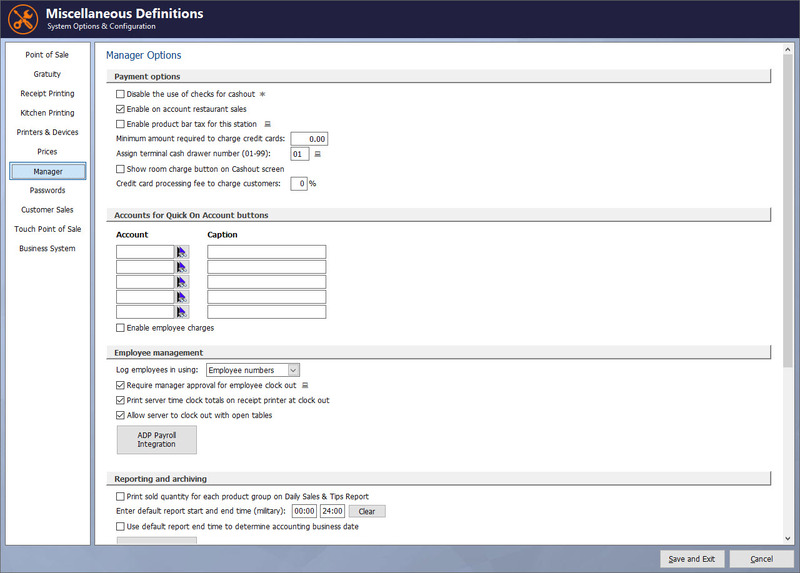 Allows Servers to Create Orders and Process Items Belonging to the Orders. Allows Servers to Split Tickets. 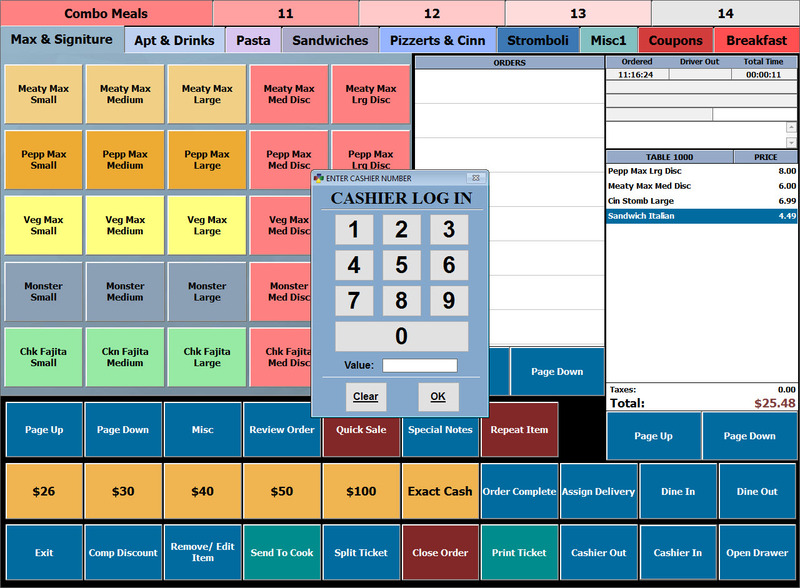 Allows Servers/Cashiers to Print Kitchen Tickets. Requires Servers to Log into the Time Clock before Processing Tables. Prints Server Sales and Tips Report Used in Server Cash Out. Requires Servers to Cash Out with Manager before Logging out of Time Clock. Allows Assigning a Cash Drawer Number to a Server Station. Supports Languages for Menu Items, for Side Definitions and for Menu Names (Supports Chinese, Japanese, Korean, Thai, Greek, Russian, Spanish, Turkish, Baltic). 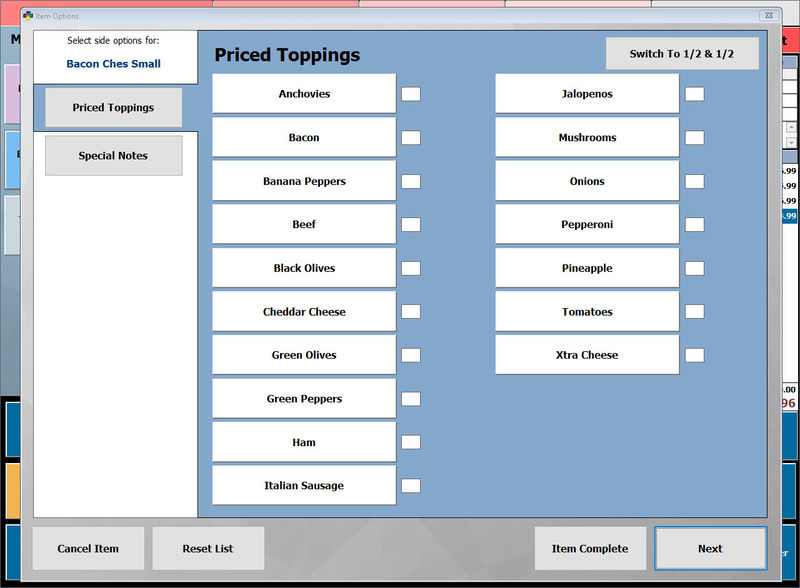 Allows Definition of all Menu Items Including Toppings, Required Sides and Cooking Instructions. 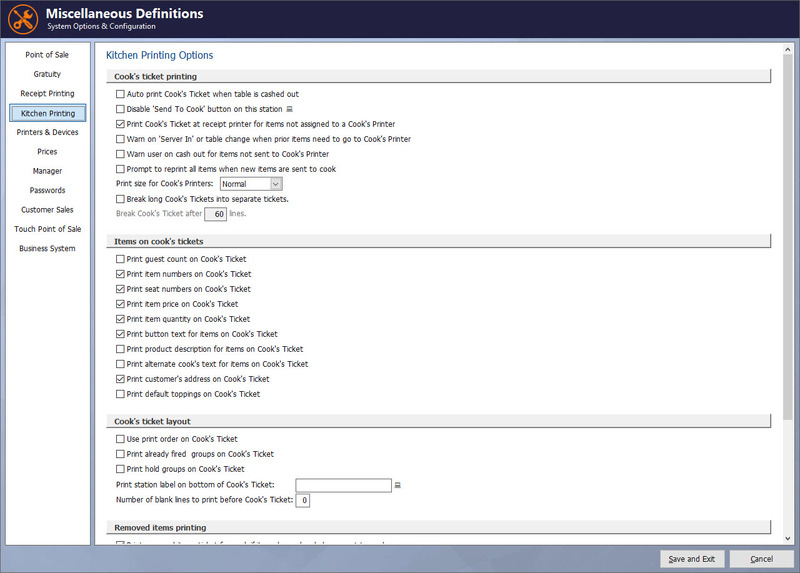 Allows Assignment of Items to One or Multiple Menus. Allows You to Assign Descriptions that Appear on Menu Push Buttons. Allows Definition of Pizza Toppings. Allows the Creation of a Custom Sides List for Any Menu Item. This Makes the Selection of Sides for an Item Very Fast. Allows Data File Information to be Accessed By Browsing, Reporting, and Filtering. Allows Data Exporting of all Data. Includes a Robust Inventory Management System. Prints Cycle Count Discrepancy Reports. Automatically Adjusts Inventory Based On Cycle Counts. Prints Reports Comparing Inventory Used In Sales To Inventory Used Based On Cycle Counting. This Helps You Identify Food Waste/Loss and Helps You Correct Inaccurate Recipes. Supports Daily Inventory Snap Shot Reports. You Can Look at Inventory Quantities For Any Date. Supports Remote Inventory Scanning Using a Hand Held Computer/Scanner and Allows Inventory Updating Based On Scanned Inventory. 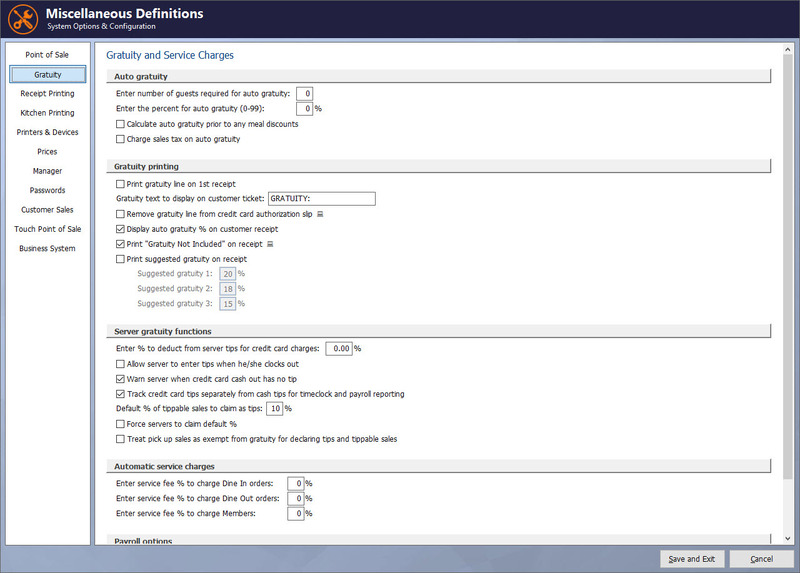 Allows You To View a Log Of Manual Inventory Changes To See When Changes Were Made To Inventory. Prints Food Cost Reports. Shows Item Revenue as a Percentage of Sales. Shows Item Category Revenue as a Percentage of Sales etc. Includes a Robust Inventory Management System, With Cycle Counting, with Inventory Discrepancy Reports, with Perpetual Vs Periodic Inventory Reports, with Inventory Snap Shot Support, with Remote Inventory Scanning And with Inventory Change Logging. Supports Equipment Tracking Include Scheduling Preventative Maintenance And Logging Repairs. Supports Equipment Tracking Including Scheduling Preventative Maintenance and Logging Repairs. 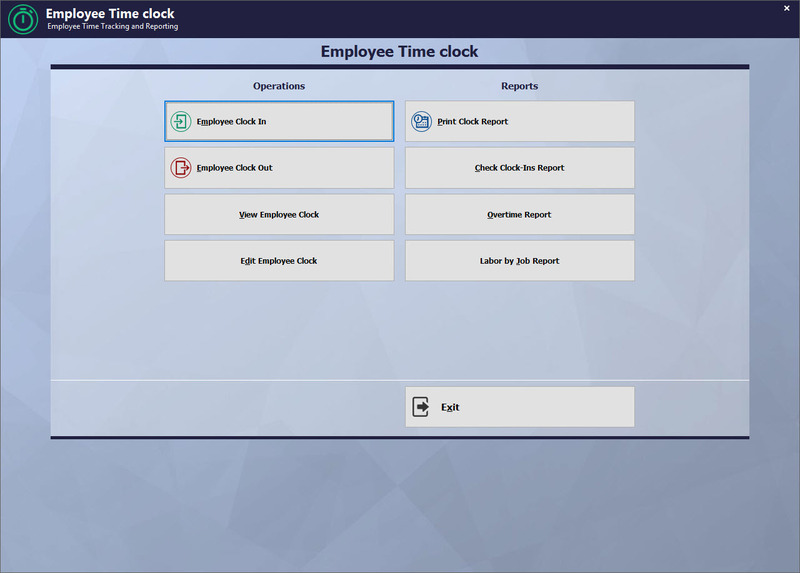 Contains An Employee Time Clock That Feeds Payroll. Supports Employee Scheduling and Prints Schedules. Prints Hourly Sales and Labor reports allowing you to monitor number of employees per gross sales. 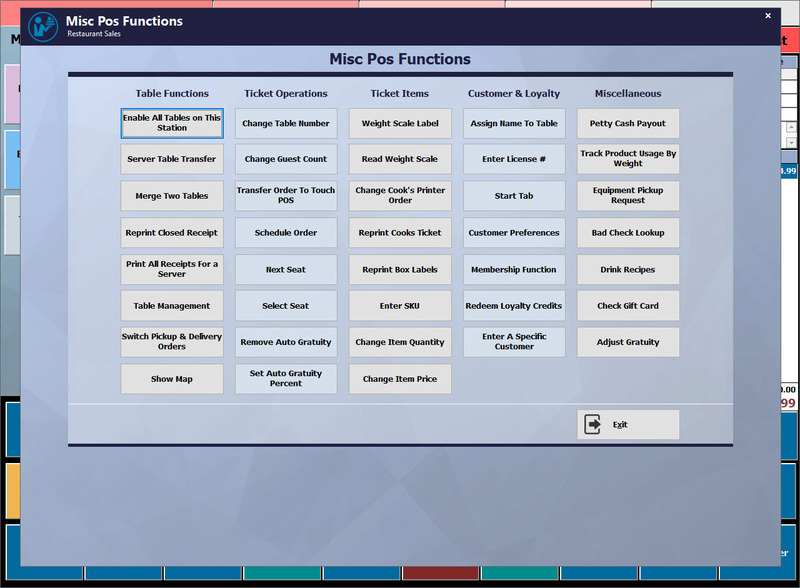 Allows Managers to Require Servers to Cash Out with Manager before Logging out of Time Clock. Allows Employees to Clock Out Without Manager Approval. Runs on any Pentium 3 or higher PC with 10GB hard drive space & 250MB RAM. EatOnTheWeb is an easy to use, affordable online ordering platform for restaurants. Give your customers the ease and convenience of placing orders online, while reaping the benefits and added revenue of an online presence. Keep your servers on the floor where they can sell more items to your customers. Get food to your customers and turn tables more quickly with instantaneous communication from the servers to the cooks using our RapidServer POS Tablets. This is a full featured version of the BPA Delivery software, this trial will be completely functional for 120 days before expiring and requiring a license to continue. 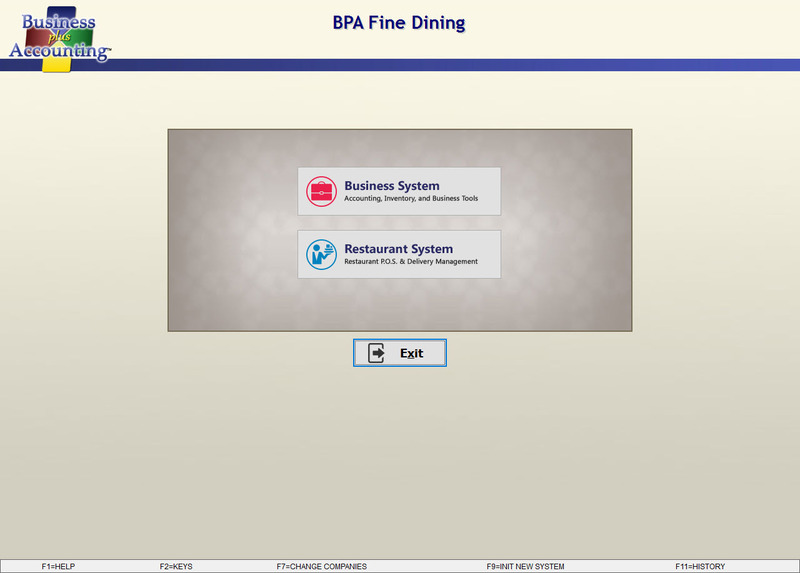 Full PDF manual for the BPA Restaurant Delivery Software. Full PDF manual for Business Plus Accounting Software. An assortment of various beverage logo images for you to use on your menu. An assortment of various beer logos for you to use on your menu. This is a required monthly Licensing & Support fee to run this software, it entitles you to all the above services. When you purchase your hardware POS stations from us the software station license is always free. When you purchase your own hardware you are required to pay a software terminal license fee of $400.00 for each additional POS station. * The monthly software License & Support fee remains $40 per month, regardless of how many stations you are running. 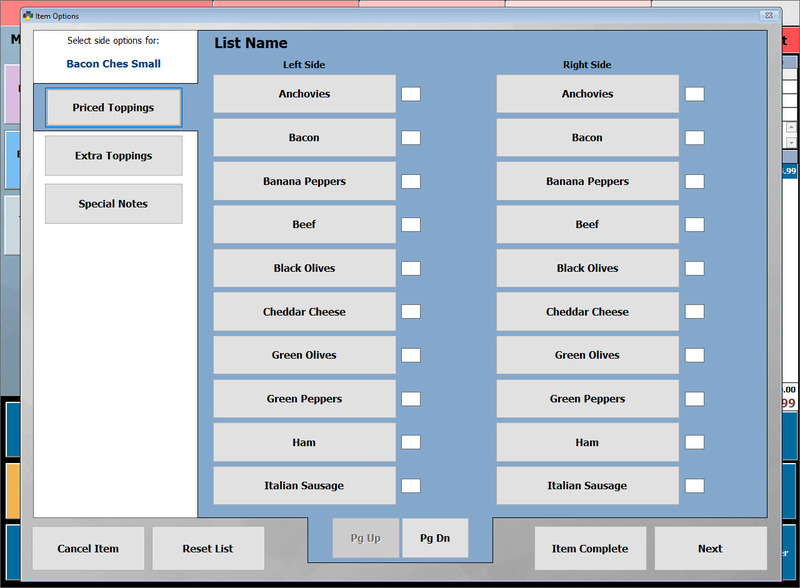 As an added service, if you would like us to create your menus in the software, we will be happy to do that. An average menu is between $300 - $600. If you would like a quote please send us your menu either by email or fax and we will get you a hard quote on your menu. If your business has unique requirements that are not met by our software, we can customize the software for you. We have professional engineers with many years of business and business programming experience. We will customize the system just for you. Our development environment is incredibly fast and our engineering rate is very reasonable. If you need data converted (Typically Customers, Vendors, and Products) we will be happy to help you with that. Like us on FaceBook for specials and update notifications! DO NOT install demo software on a computer that already has a copy of BPA, your settings and menu will be overwritten!